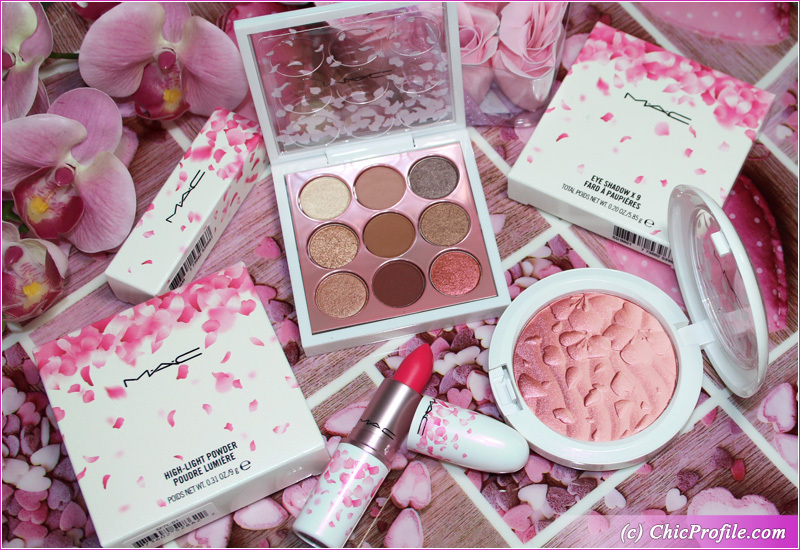 As you probably know MAC Boom, Boom, Bloom Collection (promo photos, prices) launched in the UK earlier this week so I couldn’t resist placing an order online. I choose the option to collect my order in store because I wanted to check the entire collection in person even though I’ve already decided on my purchase. The collection is available now exclusively at Selfridges and we get it first here in UK and later it will hit U.S. and international counters. 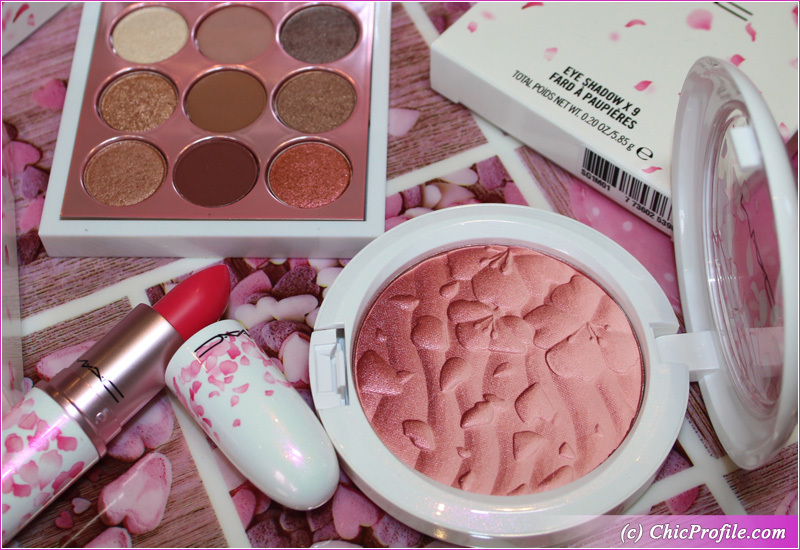 Inspired by the lovely Chinese cherry flower this collection really warms my heart. Well, I said it right from the start that I’ll be getting the highlighter but I did decided on the other items after I saw swatches online. Once I got the store and I picked up my order from Selfridges Click & Collect I headed over to the counter to check and swatch the collection. Make sure to drop by soon enough as I’ll coming back with individual reviews for each product but for now I’ll just give you a few impressions + swatches. 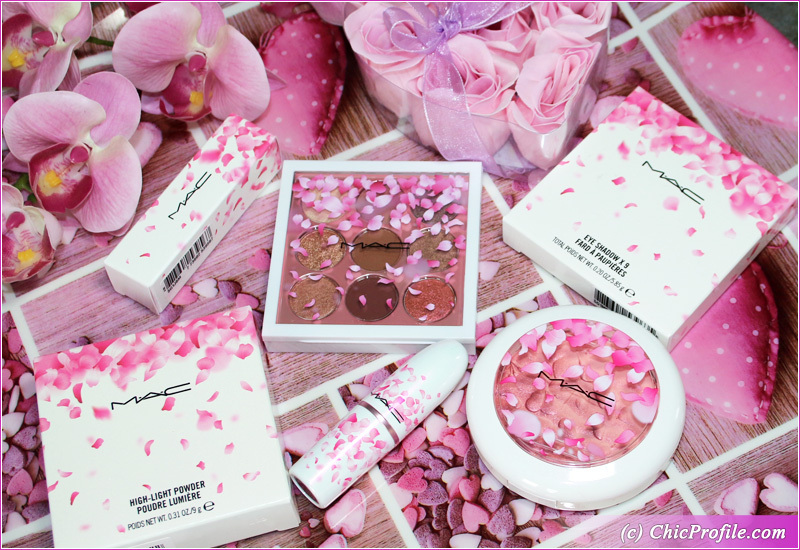 I instantly fell in love with MAC Fleur Real High-Light Powder (£25.50) when I saw sneak peek photos, but once I got to the counter and saw the product which was heavily used, it just looked boring. It’s more like a luminous powder, far away from a highlighter if you are aiming for one of those. The pretty pattern with cherry flowers will fade away pretty fast I’d say, just a couple of uses. 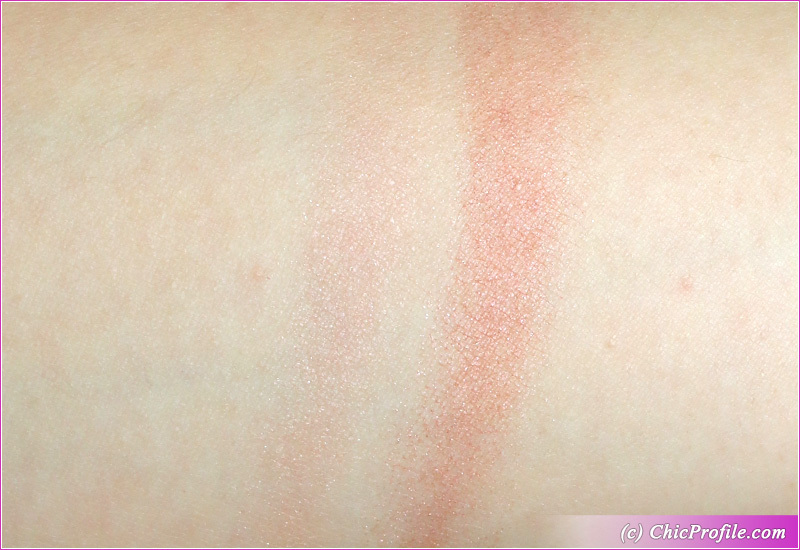 I was expecting a different color when I swatched the product, but it was a pasty very light pink. What you see in the images bellow, those gorgeous lilac effects, that’s just an overspray which will disappear after the first use. So you understand why I was so disappointed. 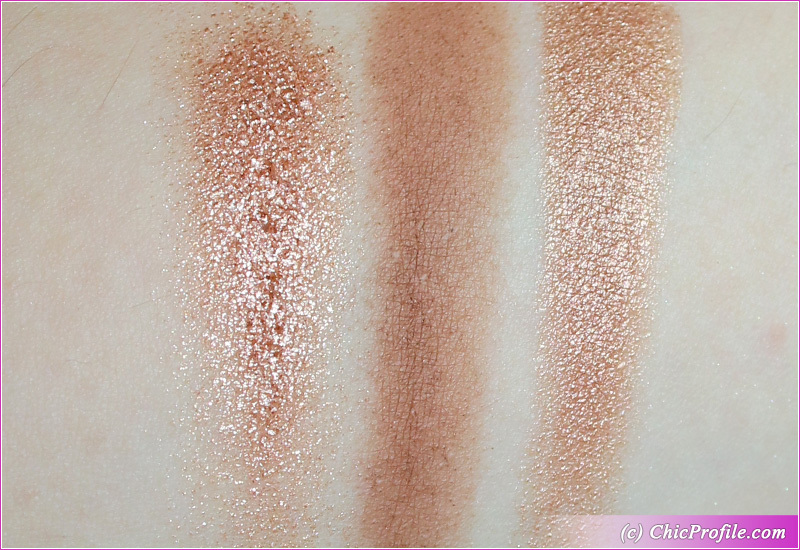 Not even the new swatch that I did at home on my brand new, untouched high-light powder wasn’t that impressive. I’ll tell you more in my upcoming review and also post photos of my makeup look. 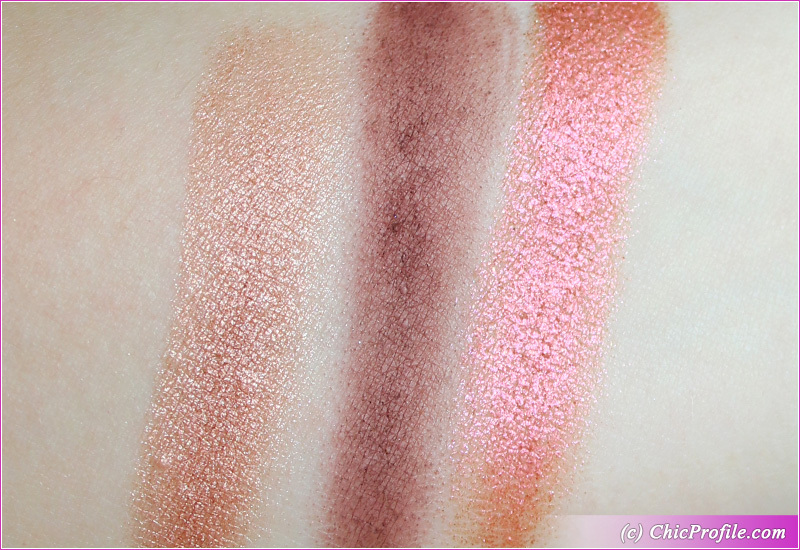 MAC Kabuki Doll Eyeshadow Palette (£26.00) comes in nine shades, which are mostly a combo of neutrals and browns. I bought this just for review purposes and the only shade I liked judging the product from the promo photos was the rosy one (bottom right corner). 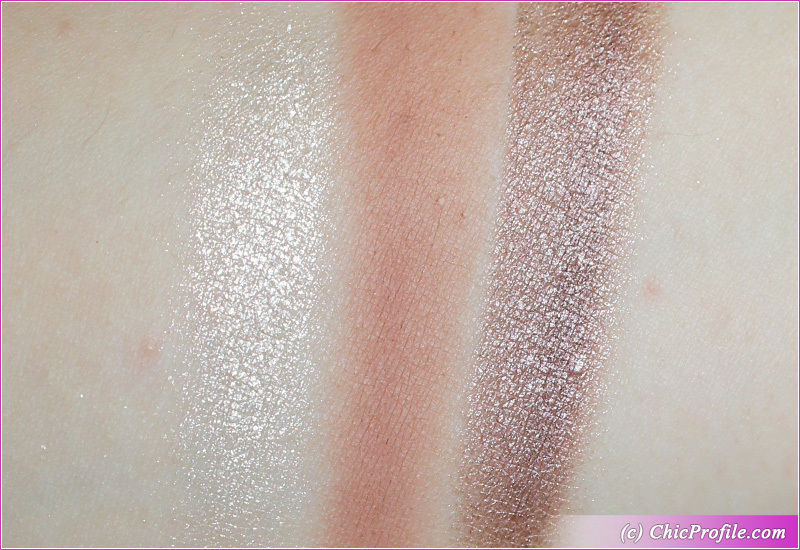 The swatches down bellow were taken on bare skin (without any eyeshadow primer or base) and in a single layer. I will tell you how every shade performed in the upcoming individual review but some of them were problematic even when swatched. For ex a few of the mattes look patchy, they kick off some powder in the pan even though they felt smooth and silky to the touch. The metallic shades behaved better and I’m happy that my Kyoto Kitty color behaved well and looked great with that frosty finish. The only lipstick shade that I chose is MAC Tsk Tsk! 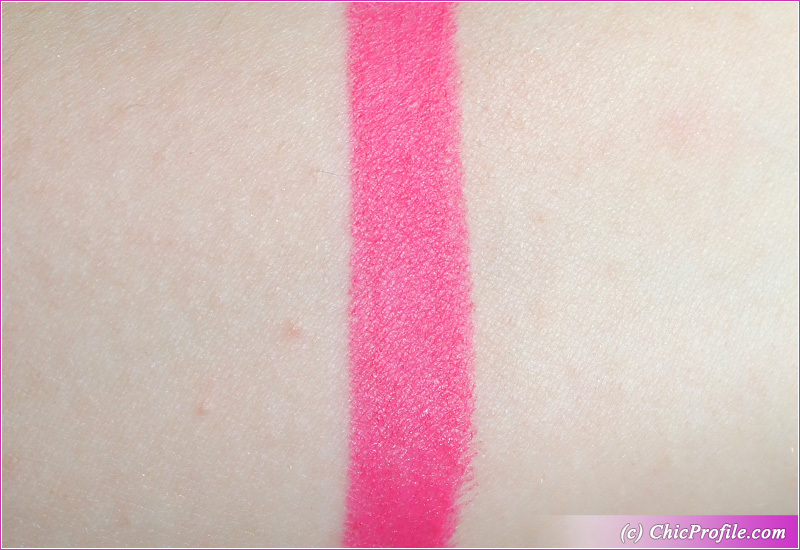 (£17.50) which is a bright fuchsia with a matte finish. I have it on my lips as I’m writing this article and you know how much I enjoy wearing pink lips. It’s definitely not for those who are color shy as it’s bright, intense and will attract looks. 🙂 Just perfect to put you in a happy mood almost instantly whenever you wear it. It looks quite lovely ! Yes I think I will purchase 2 or 3 items from this new spring collection .